This regal, European-styled establishment has been host to presidents, monarchs, ambassadors and shahs. 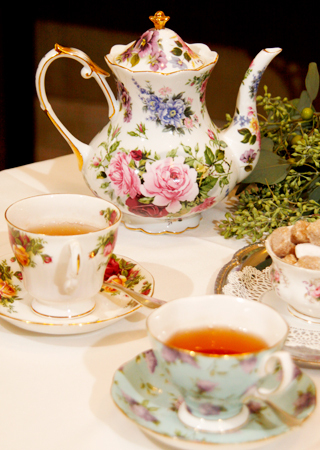 Its tea lobby is open seven days a week for those who appreciate an afternoon tradition brimming with elegance. If you are ever in metro-Detroit and are looking to indulge your senses in luxury, then look no farther than The Townsend Hotel (located in Birmingham—one of the area’s toniest suburbs). This regal, European-styled establishment has been host to presidents, monarchs, ambassadors and shahs (as well as VIPs in the sports and filmmaking industries). 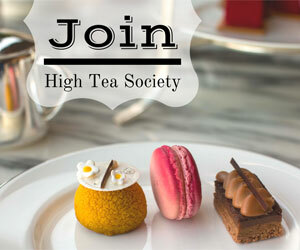 Its tea lobby is open seven days a week for those who appreciate an afternoon tradition brimming with elegance. 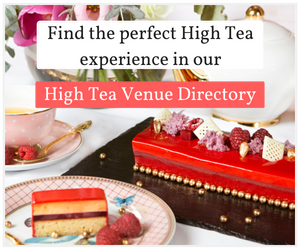 The ambience of the tea lobby is elevated with an air of formality infused with a sense of ritual. Its English décor also complements the hotel’s front lobby—both of which are adorned with Waterford crystal chandeliers, gilded framed-murals, mahogany wood, marble fireplaces and fresh floral arrangements. The best part of the culinary fare at The Townsend is that it is extremely fresh and aromatic, and is gorgeously prepared without looking pretentious. The hotel’s award-winning chefs are known for preparing lavish meals for formal dining—which can be beautifully refined to please the crowned heads of Europe, yet exotic enough to charm a Bahraini king. 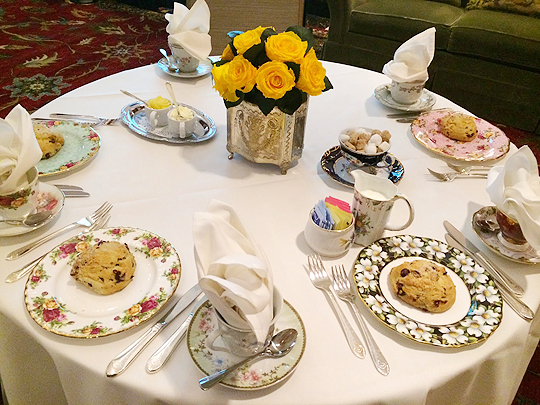 Something else worth noting is the extraordinary brilliance of the service at The Townsend. One cannot help notice the distinct sophistication of the wait staff as they quietly navigate between tables with the precision of cirque performers. The service is expedient. On this day, tea patrons were in for a special treat. 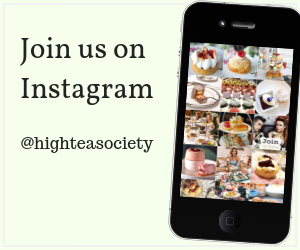 An impeccably coifed woman held court to share social customs of tea etiquette among well-heeled society for those wanting to live life as a more formal affair. 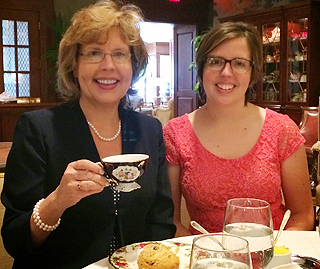 When it comes to tea protocol, Barb Gulley is both widely and affectionately regarded as the Grande Dame of Michigan’s tea cognoscenti. She had acquired a propensity for “the leaf” early on, her mastery of the subject arguably gives verisimilitude to a tea sommelier, and she even has a blog, a column and a separate website to educate others about her passion. In 2011, when Princess Diana’s brother, Lord Charles Spencer visited Detroit for an event, Gulley was in attendance to welcome the earl over tea. Her apt pupils paused, regarded, and became instantly enraptured as Gulley regaled everyone with stories about tea houses she visited during her travels through Europe while discussing its history, the quality of different types of tea (depending on their oxidation process) as well as their health benefits, and how to avoid a scone faux pas in an esteemed setting. “And you should also add the milk in last,” she added, “because you don’t know how strong the tea is, so you have to wait and see. 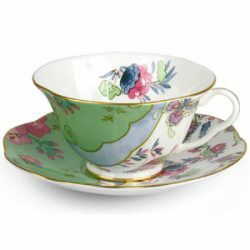 Even the Queen of England drinks her tea with the milk in last.” (She may have an inside track on the queen. After all, she has sipped tea with a close relative of Great Britain’s royal family.) To learn more about Barb Gulley and her passion for educating others about all things tea and to find links to both her column and her blog, go to http://www.barbsteashop.com. 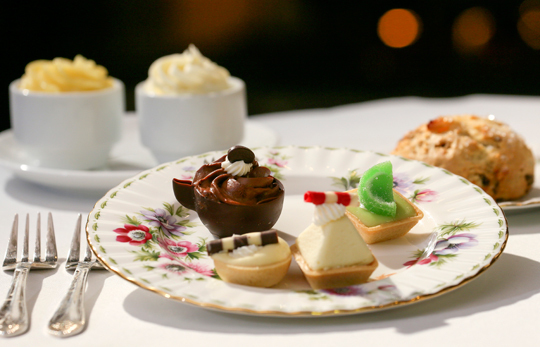 In addition to its traditional English Tea service, The Townsend Hotel Tea Lobby caters to various tea events such as a Jane Austen Tea, a Royal Tea (which includes champagne), a Princess Tea (for young ladies), a Cream Tea (designed for a wealthy affair), and a Full Tea (which includes a dessert cart), among others. Suzette is a writer from Detroit, USA.